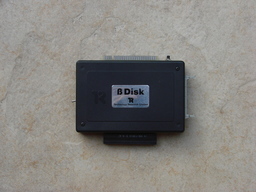 Blurb Disk interface that supports single or double density drives. Operating system on EPROM. Supports 3.5 or 5.25" drives. Runs up to 4 drives. Notes Runs the TR-DOS operating system. There also was a Beta 128 Disk Interface.